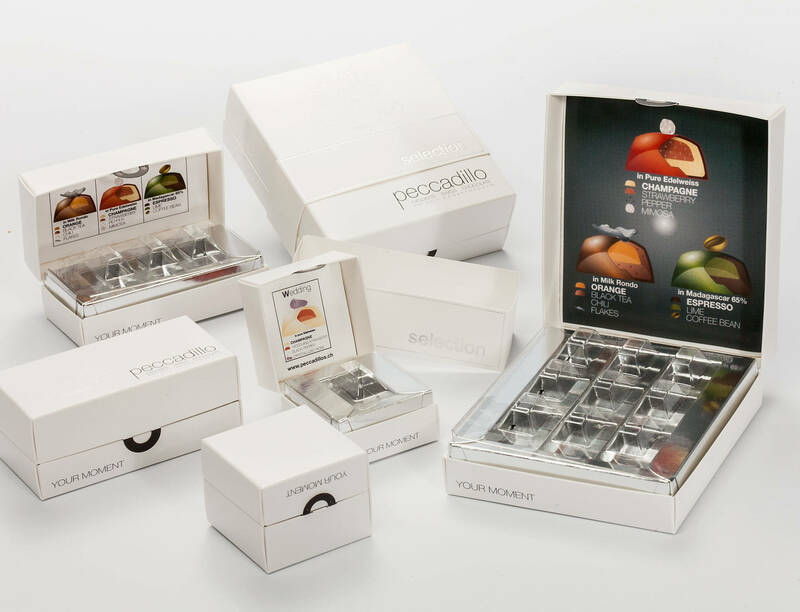 The idea originated from PAWI: a sustainable and innovative solution for attractively presenting chocolate, biscuits or confectionary in separate compartments and completely dispensing with plastic. 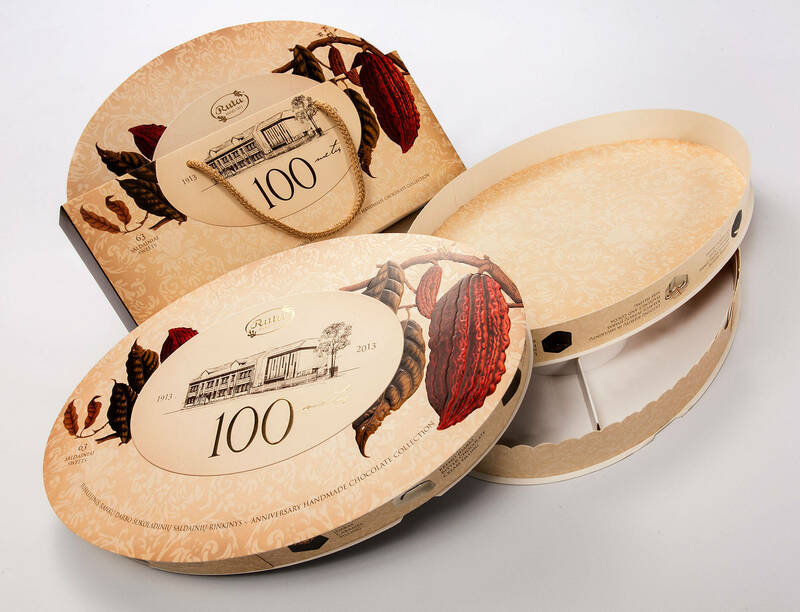 The in-house team developed a sample and spoke to bakers and chocolate manufacturers to jointly find the best solution. 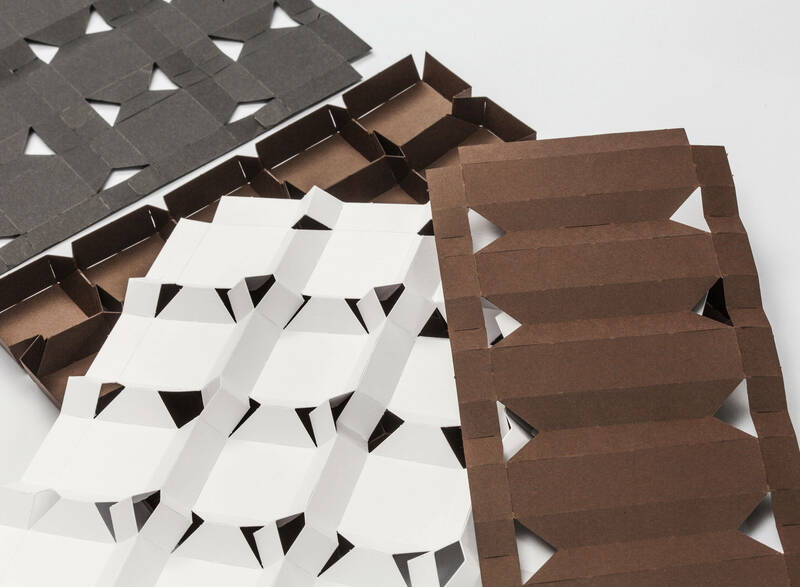 Then one looked for, and found, suitable cartonboard and a mechanical engineering company that could supply the appropriate packaging machinery. 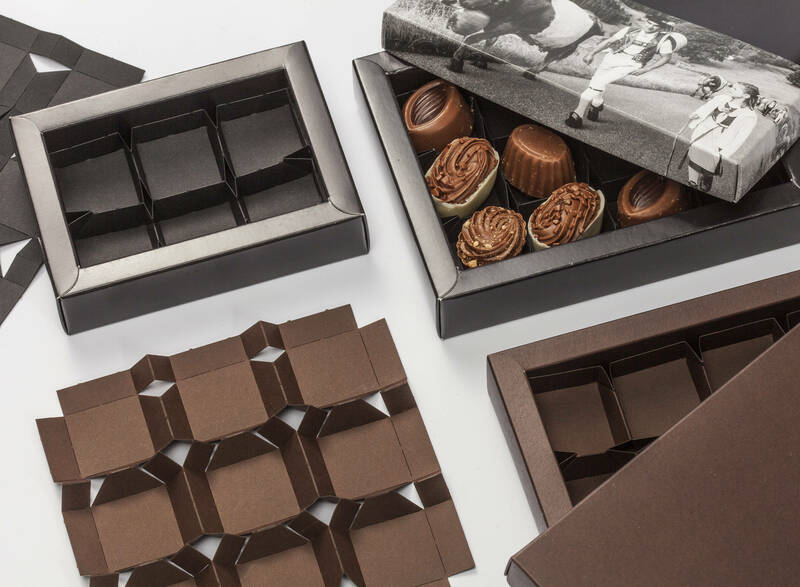 The Multiflex insert adds special value to chocolates as the cartonboard used provides an attractive appearance due to its naturalness and simplicity. 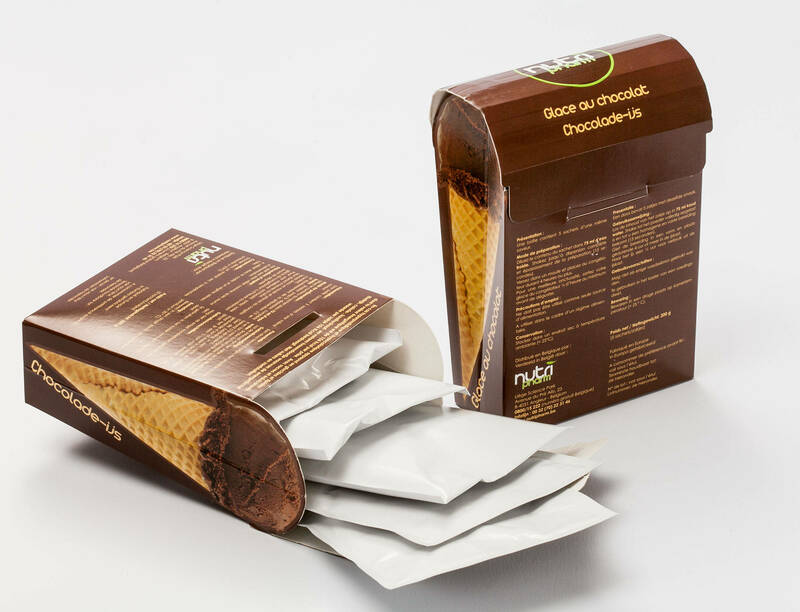 The insert cartonboard is approved for direct contact with foods and includes grease barrier properties. 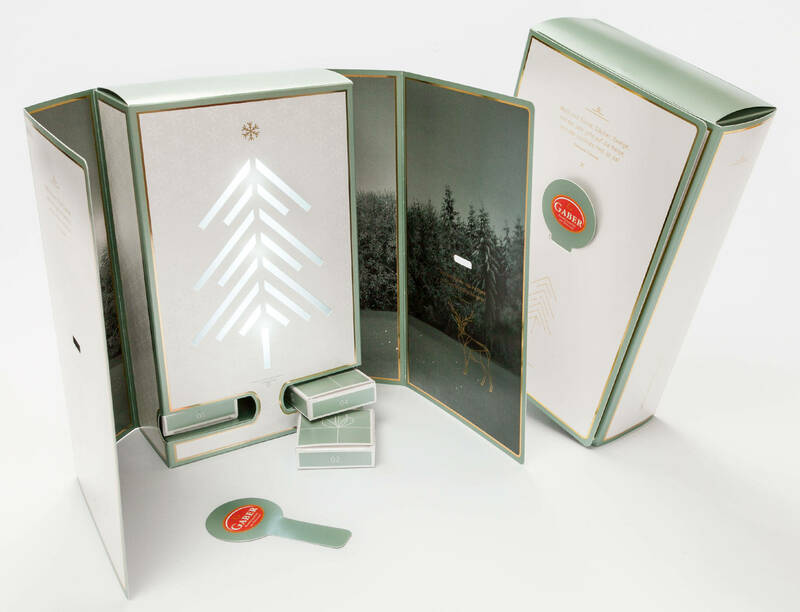 The chocolates can be placed directly into the inserts. The Multiflex inserts can be manufactured on an industrial scale and are pre-creased. 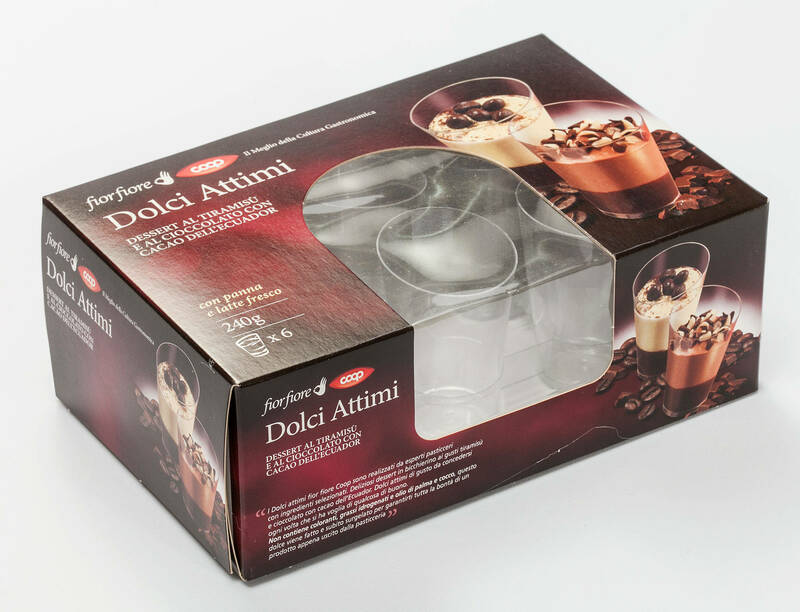 Automated packing at the customer’s filling line is possible. 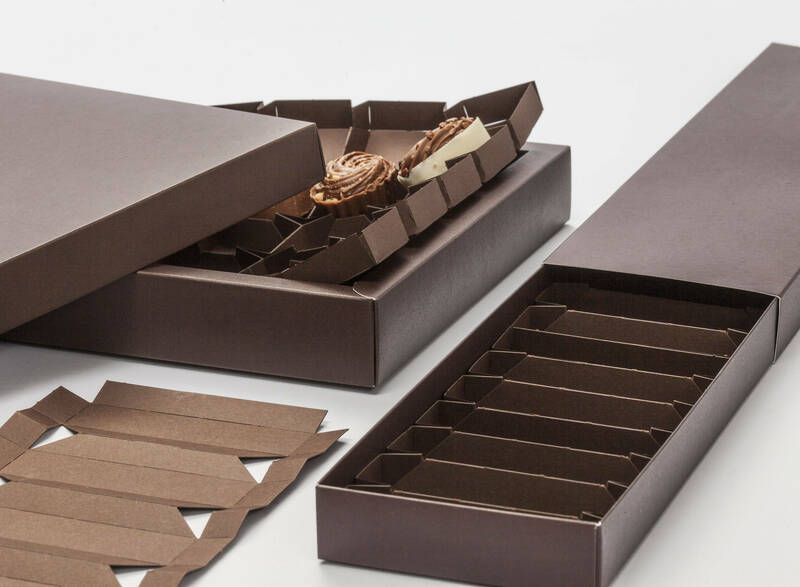 The cartonboard insert system represents an ecologically sound alternative to existing plastic inserts. The new system is extremely successful, the first repeat orders came more quickly than expected. 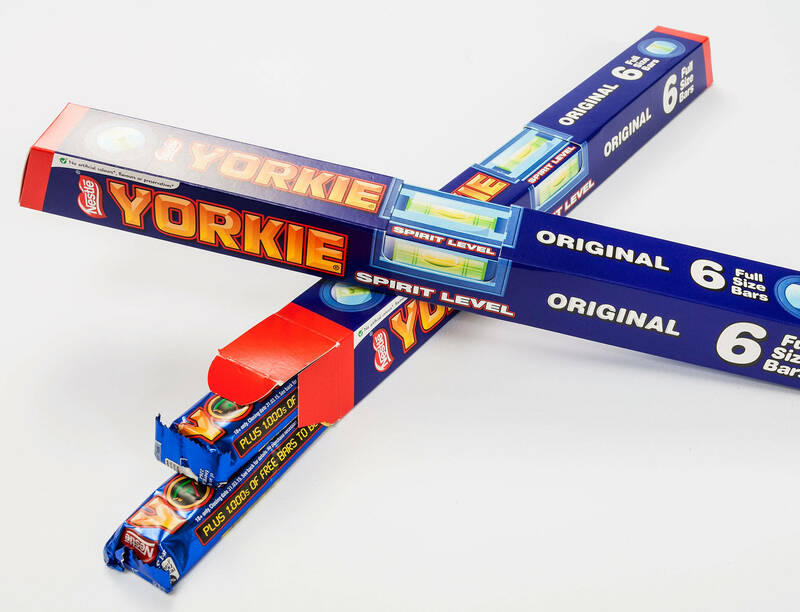 The presentation of confectionary has become considerably more attractive. Nearly all customers in Switzerland have already switched to the new solution, and launches in Germany, Belgium and France are planned. The customer given here as an example, was able to increase sales by 20 per cent by using the new system. 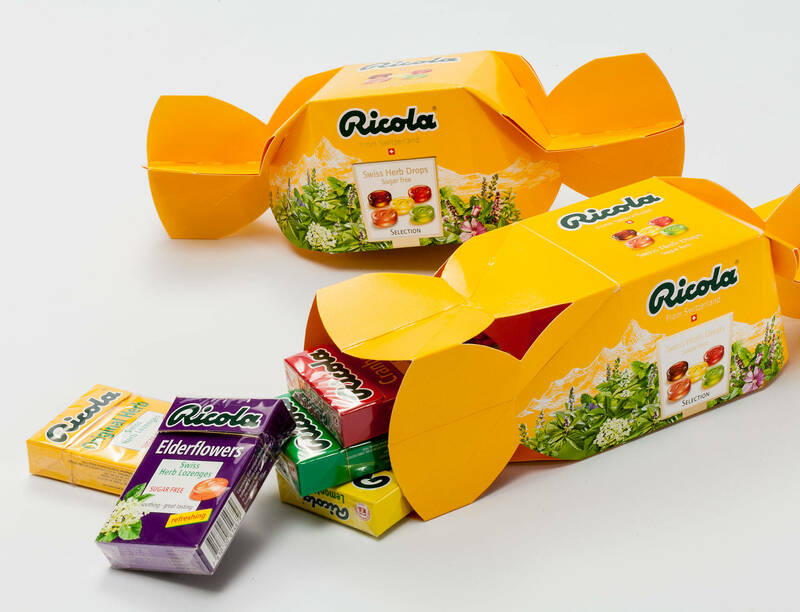 The judges were in full agreement that this packaging concept would work well and be attractive at the same time. 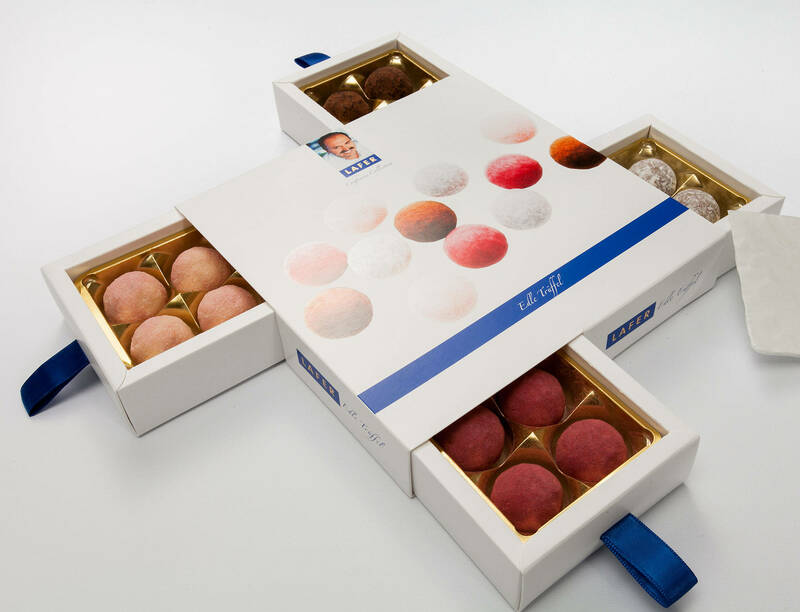 It was designed to be used in stores where consumers select their own choice of chocolates. 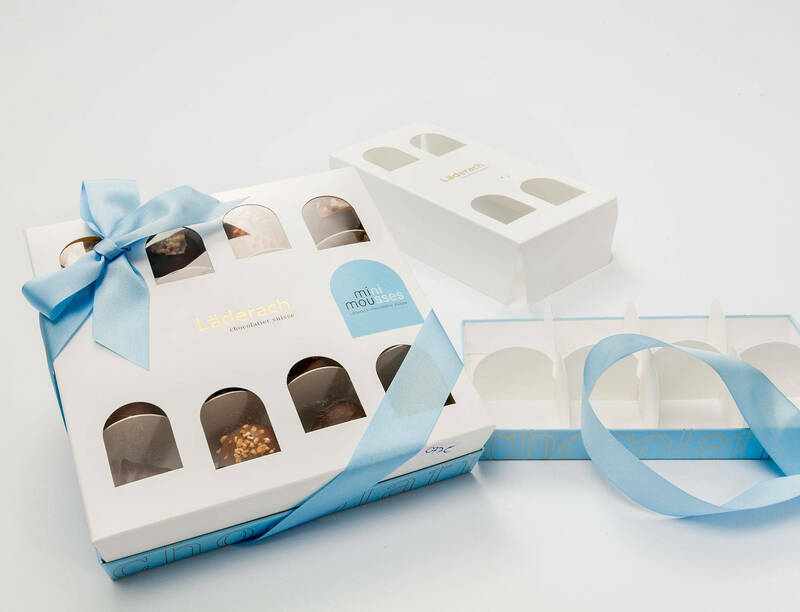 It was made up of different sizes and shapes of cartons and also inserts that were designed to fit the various sizes of cartons and hold the chocolates securely. 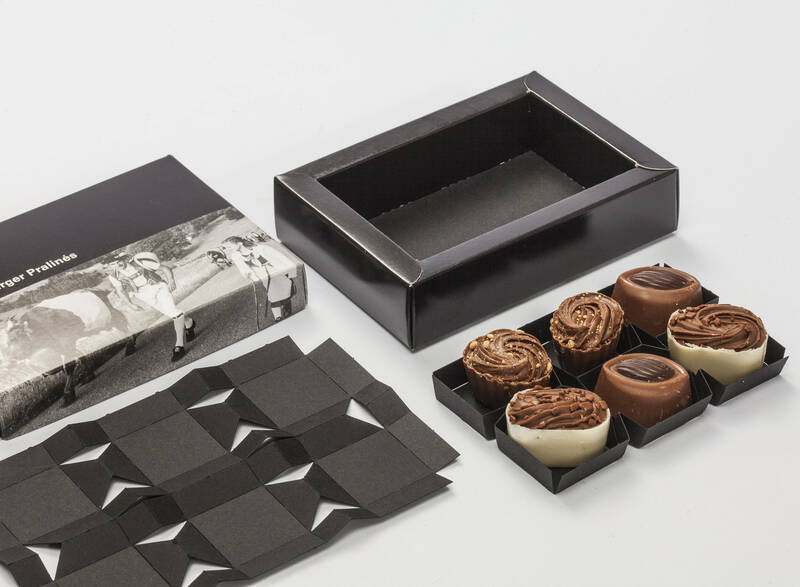 The cutting complexity on the inserts appealed to the judges who noted that they worked well and were simple to insert into the cartons before the chocolates are added. An excellent concept. 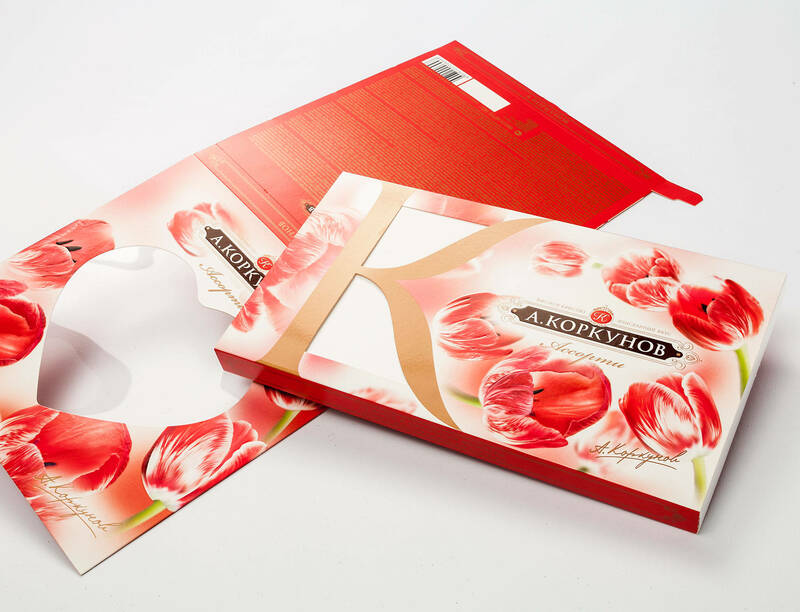 The customer's requirement was to develop an entirely new product range for a new, young target group. The products were to be completely different from the existing products and create a high level of awareness. The animal motifs offer children and adolescents equally a change from the conventional role-specific images of princesses and pirates. 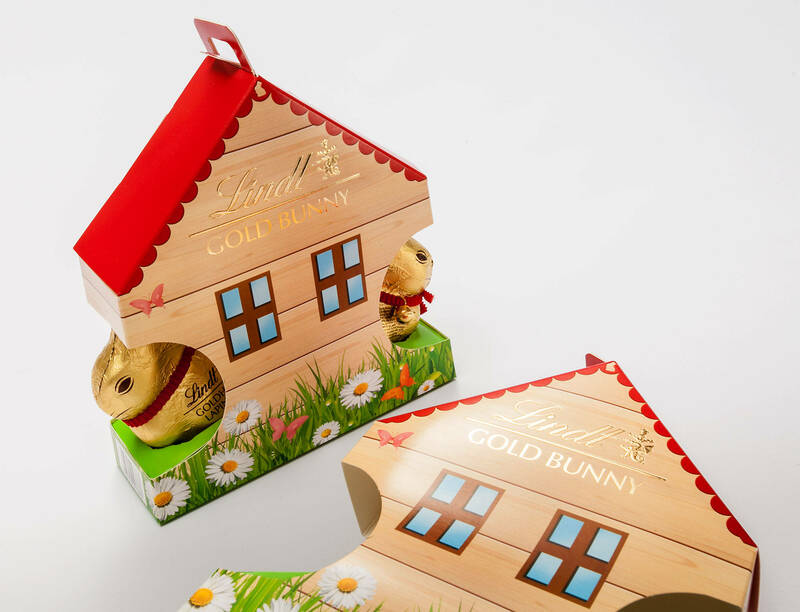 The design was also to appeal to adults and be suitable as a gift. The treasure chest can be reclosed and, when empty, used for other things. 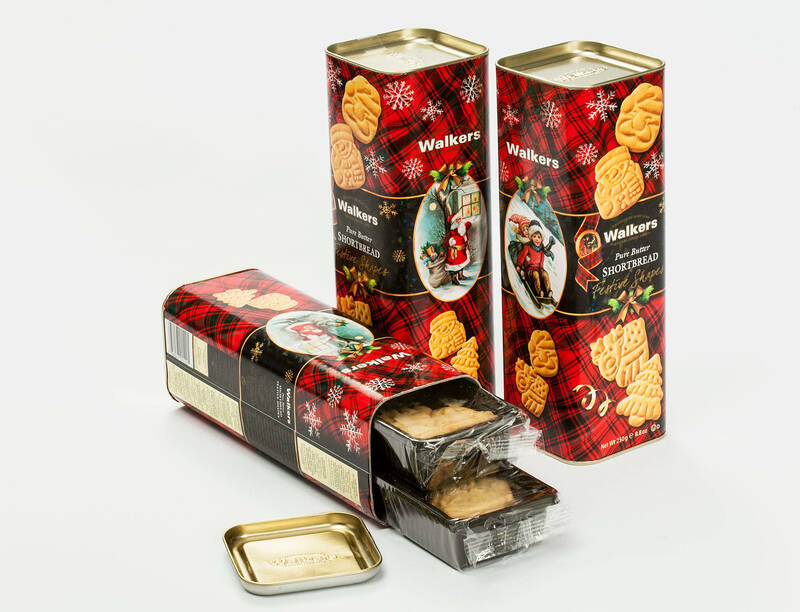 At the beginning of 2013, Reber approached Mayr-Melnhof Packaging Austria with a very challenging packaging task. 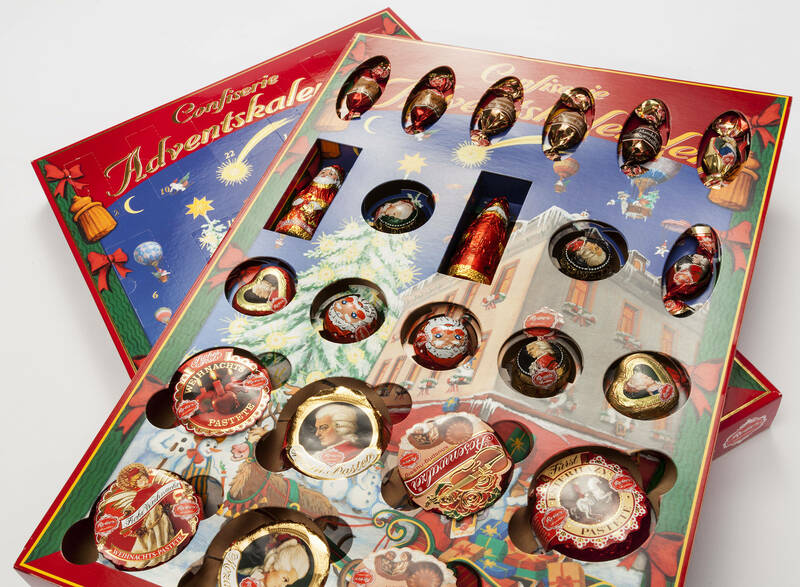 The idea was to replace the styrofoam used in the positioning trays of the Reber Advent calendars with cartonboard. 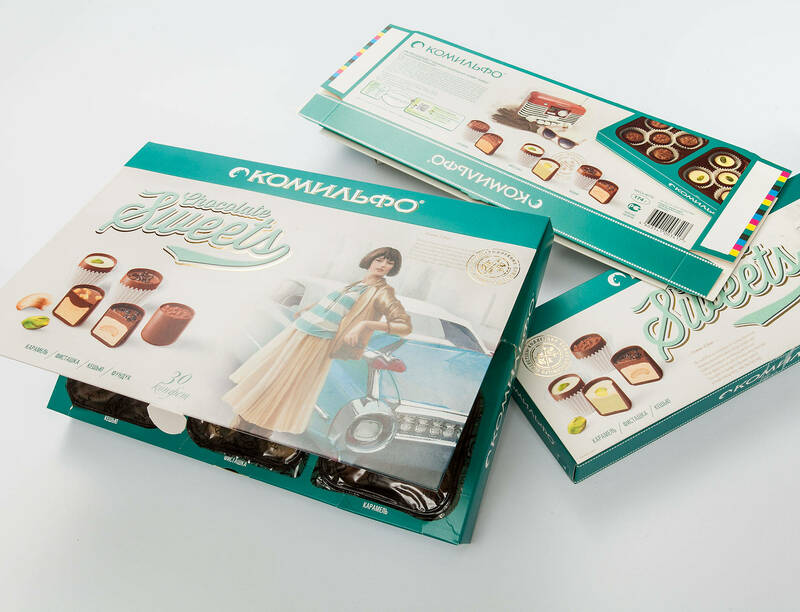 All the important objectives were achieved: easy handling, accurate positioning of the products by using the "Twister" coiling technique - which compensates differences in the height of products - and optimal protection of the contents. It only took six months from the first project meeting to having the new Advent calendars on the shelves. This was the first time the judges had seen an advent calendar as sophisticated as this. 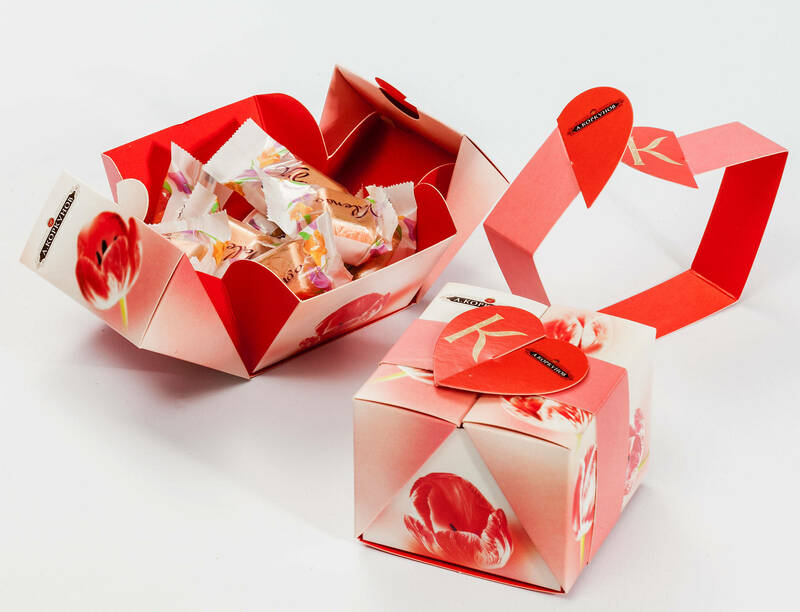 The wells for the sweets are backed with spirally cut cartonboard to hold the sweet firmly in position. 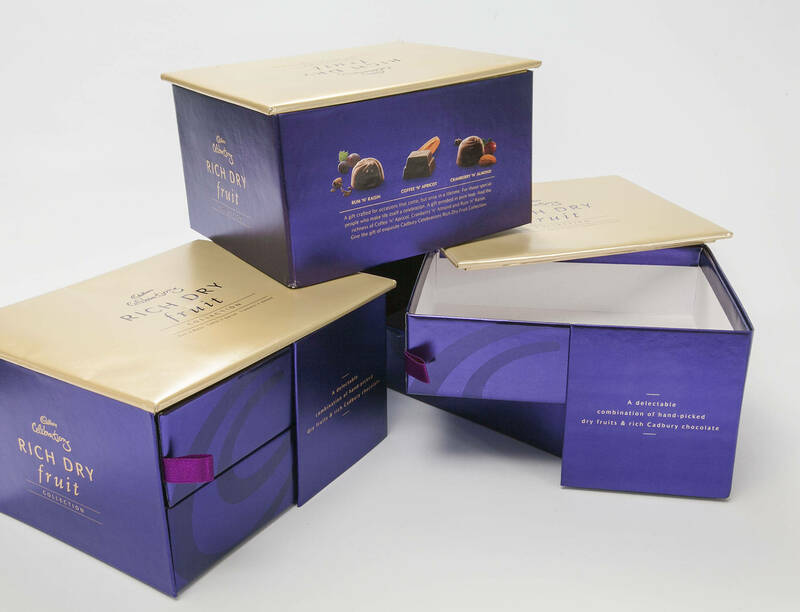 After removal of the sweet the section pops up so that the overall look of the box is not compromised. 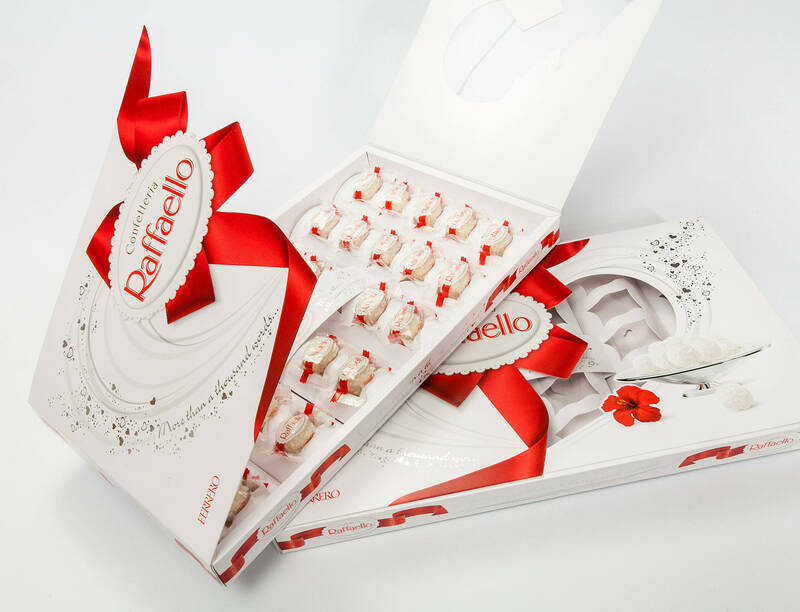 This new system for holding the sweets was made entirely of cartonboard and replaced the previously used styrofoam. The judges felt this was a remarkable single material product and much easier to recycle after use. 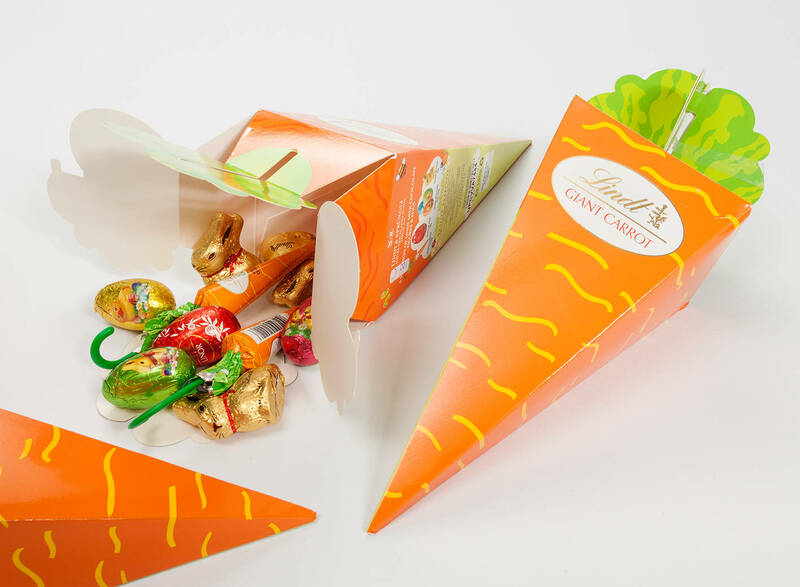 The Lindt Easter Brand Manager approached Multi Packaging Solutions with the idea of a giant carrot, inspired by the "Lindt Gold Bunny & Carrots" packaging and brand recognition of the Lindt rabbit. 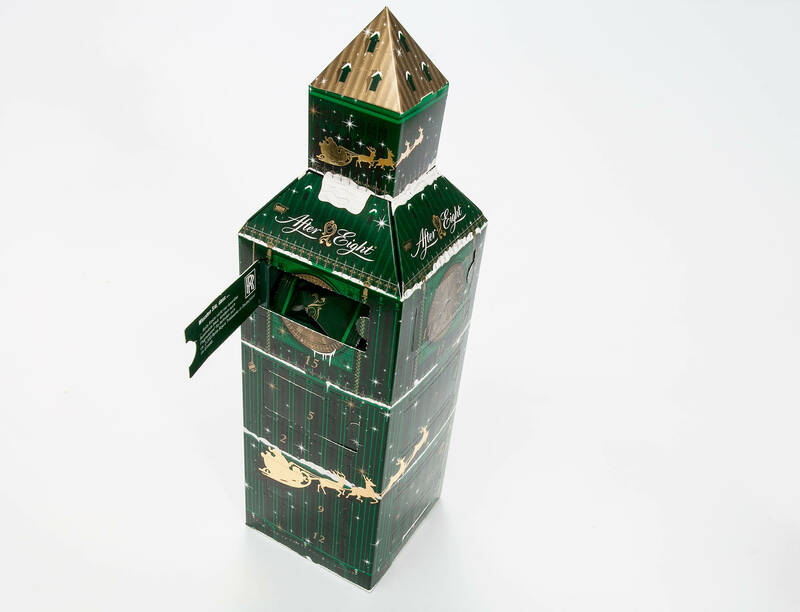 The carton stands upright on the shelf: with cartonboard it was possible to develop a conical shape with adequate rigidity. The solution offers attractive convenience and a positive experience when opening and reclosing. This brand new development was very successful on the UK market and will be repeated again in 2015. 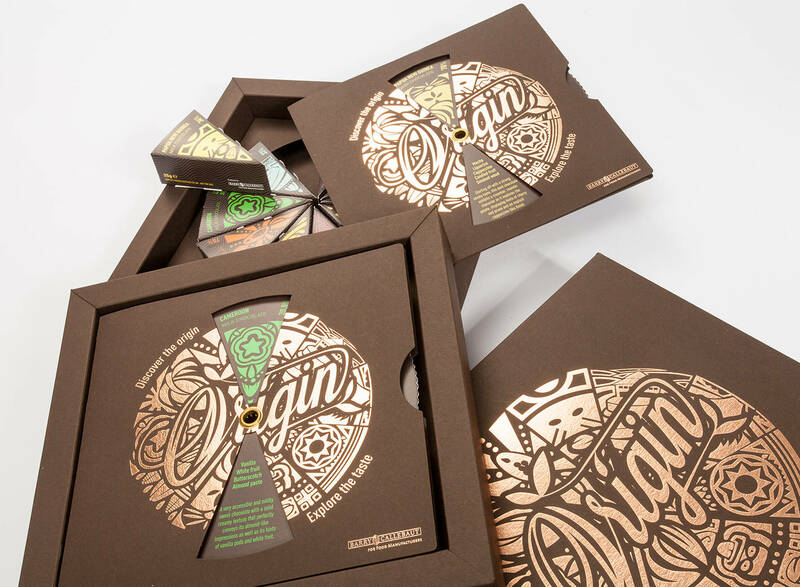 "Origin" chocolate is a journey into the world of taste, the chocolate taste of cocoas from across the globe. 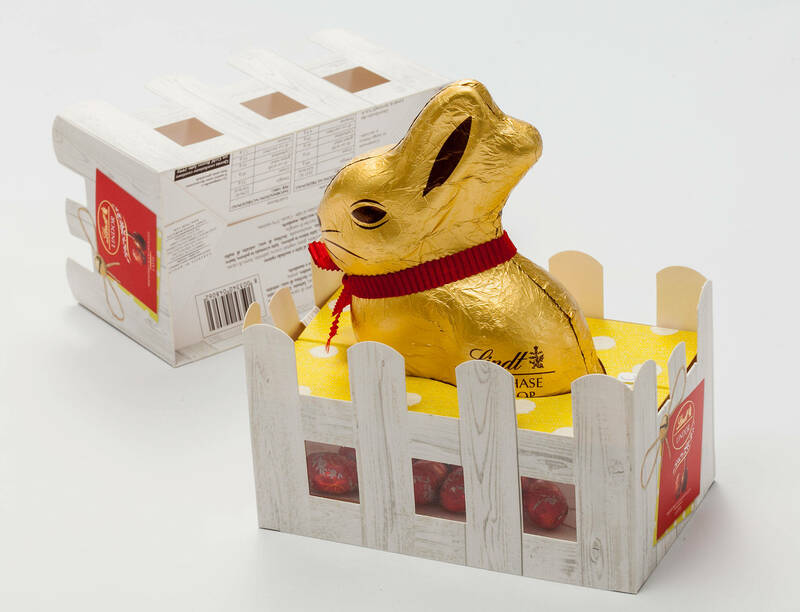 Chocolate is very sensitive to external flavours, and therefore it was extremely important that Du Caju Printing had considerable experience in selecting suitable cartonboards. 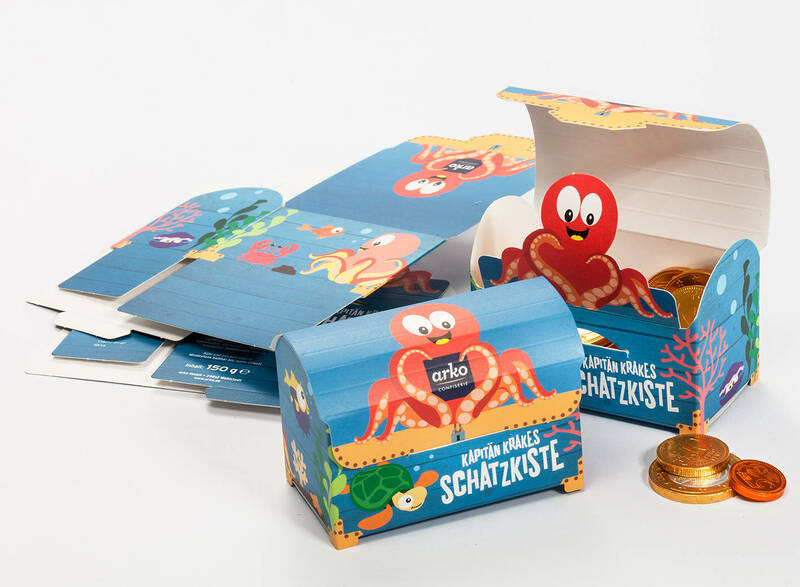 The outer box depicts the logo as well as typical images from the various destinations. 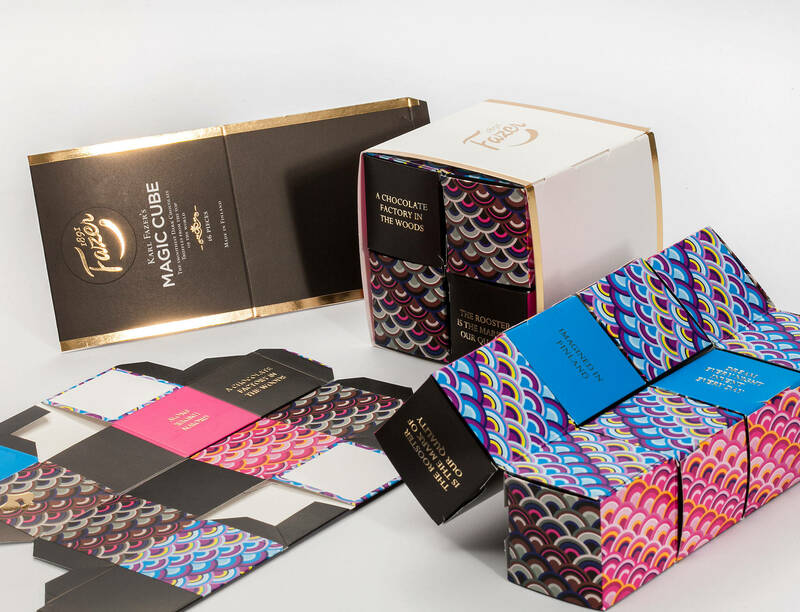 Inside are ten small boxes with powerful colours and a graphic design which highlights the individuality of each type of chocolate.